We are driven people who care with a “one team” attitude. We do the right thing for our team, our clients, and our communities. It feels different to work with us. We trust safety is imperative in all we do. Our people must return home to their families the same way they came to work each and every day. 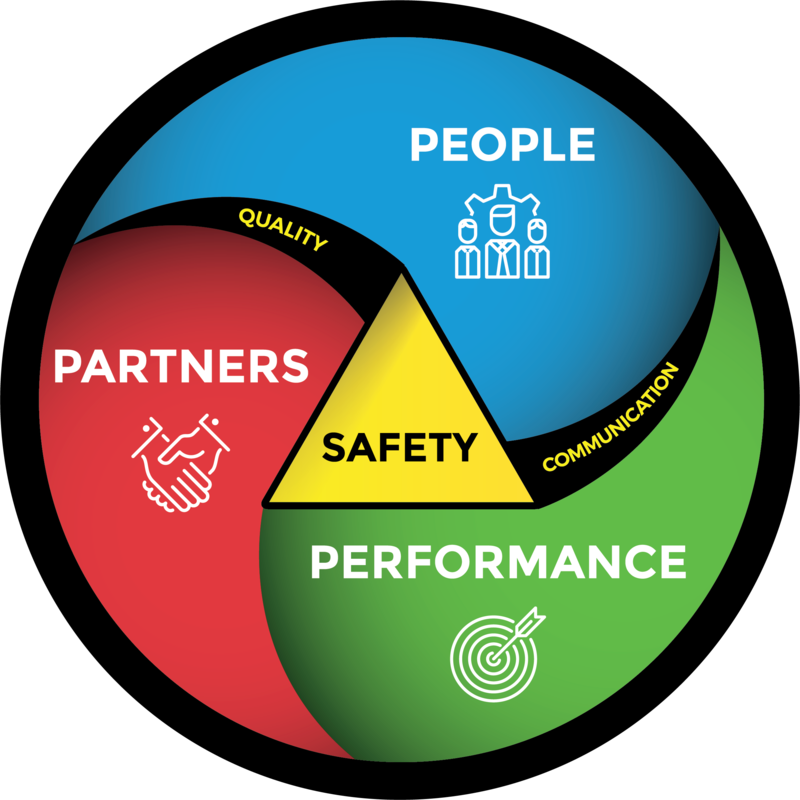 Our performance delivers skillful, dependable, and timely completion of projects which positively impacts our employees, clients, and communities. Open, honest, and truthful communication. Provide the highest of standards; it’s a representation of who we are. We value both internal and external relationships based on foundations of trust, dependability, expertise, communication, and loyalty. Operating as partners, we are committed to the success and satisfaction of those involved by anticipating needs and opportunities.